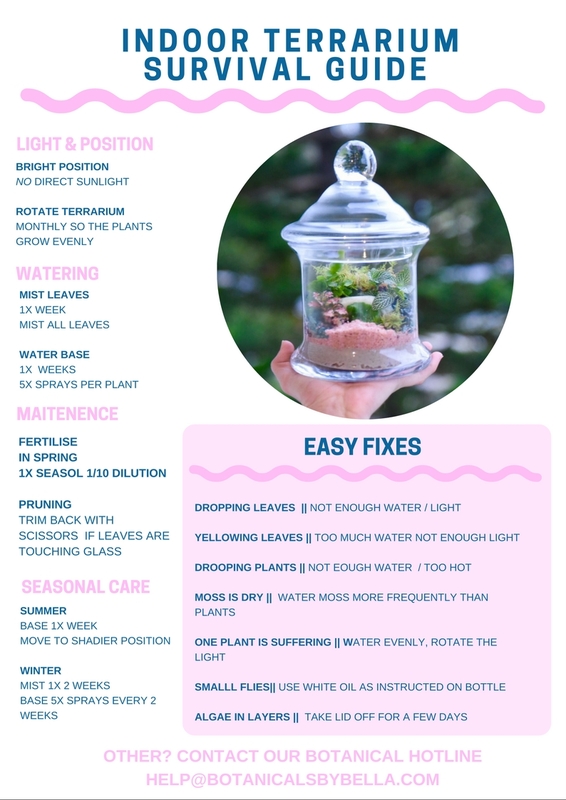 HERE WE BESTOW TO YOU OUR TERRARIUM KOKEDAMA AND CRYSTAL PLANTER SURVIVAL GUIDES! FOLLOW THE STEPS HERE AND BE ADAPTIVE TO YOUR PLANTS NEEDS AND YOU WILL ALWAYS BE A GOOD PLANT MUMA OR PAPPA! TO DOWNLOAD THE GUIDES SOMPLY SAVE THE IMAGE!